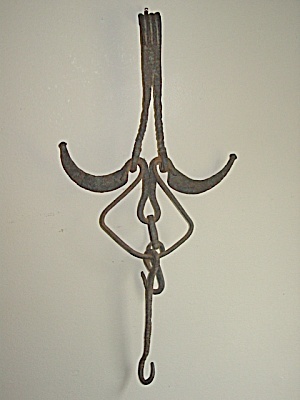 (1) Unusual form of pothook or trammels, to hang in a fireplace, then hang a cauldron or cooking pot from. Scandinavian (? ), 18th century. (2) Lamp or candle stand to be hammered into a wall. English, 17th century. (3) Candle stand/ rush light holder. Probably Welsh, Cardiganshire, mid 19th century. I have Robert Ashley'sbook 'The Rushlight and Related Holder, a Regional View', in front of me, and although a scholarly book, in my humble opinion Ashley relies rather too much on where items were found or purchased. Have a care !!!!! 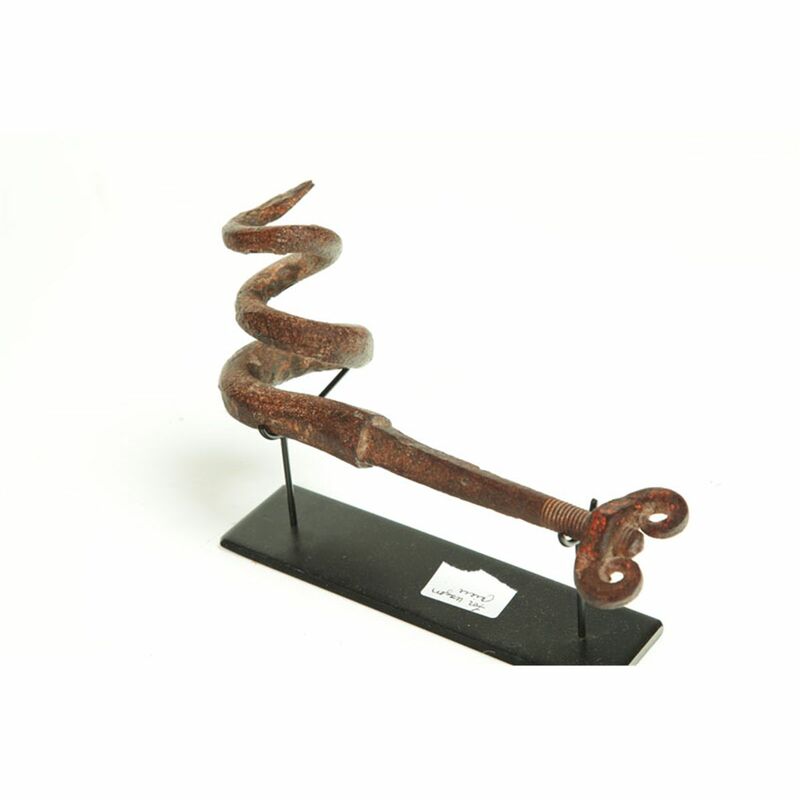 (4) Probably the lower part of an iron Pot hook. Eighteenth century. 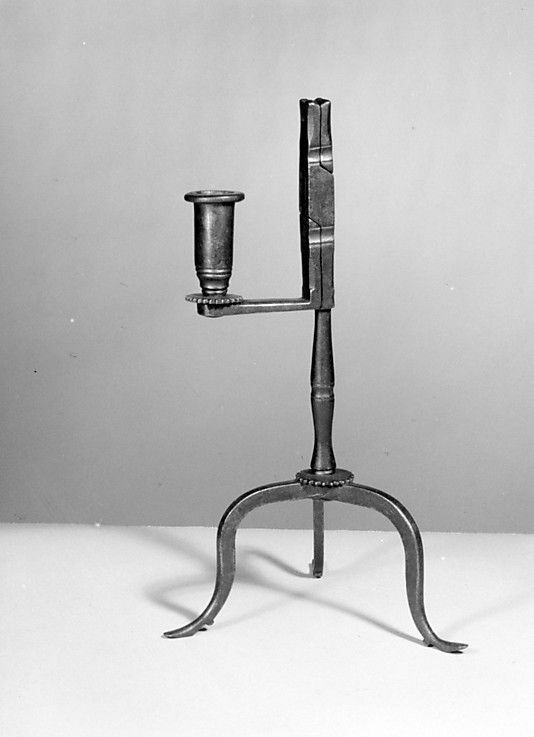 (6)Iron oil lamp, probably a fish oil lamp. Possibly American. early/mid 19th century. 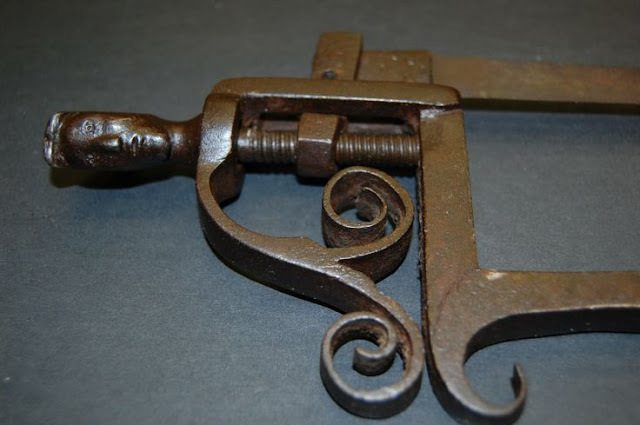 (7) Well made iron hacksaw. Italian, 16th, 17th century. (2) P.s. 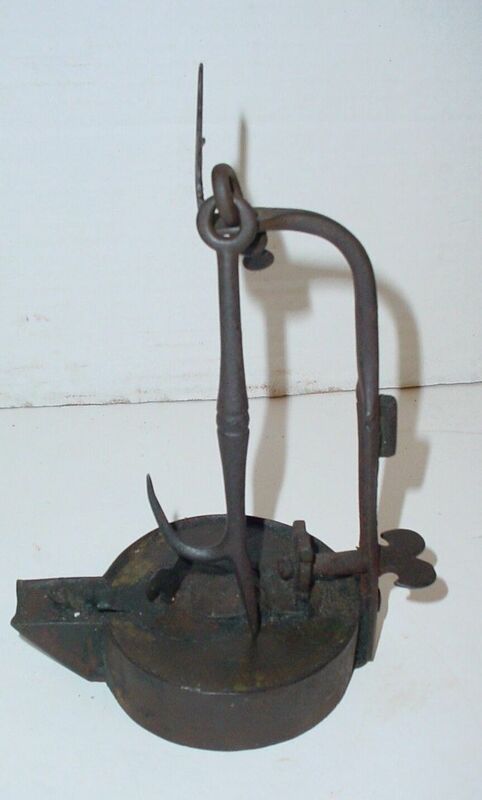 Looking at the hook below the object, could also be for hanging a lamp from. P.P.S. 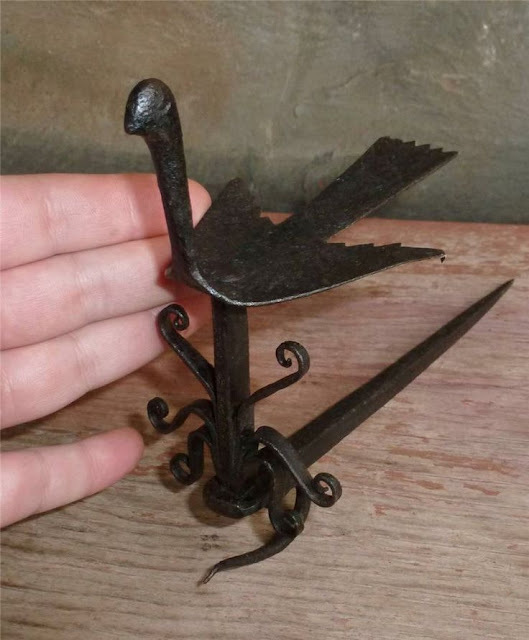 number 4 - Must state the obvious :- lower part of a SWIVELLING pot hook. No 4 is an old cowboy wagon swivel hook. Yee har! Very well observed and highly detailed descriptions, gents. I have little to add apart from items 4 & 5 which both came from the same 'cowboy' wagon: 4 is a swivel hook from which buckets, cauldrons and game could be slung and 5 would have been close to the drivers right hand to hold his whip. the type of wagon on which they were found was a Conestoga. The Conestoga wagon is a heavy, covered wagon that was used extensively during the late eighteenth century and the nineteenth century in the United States and Canada. It was large enough to transport loads up to 6 tons and was drawn by horses, mules or oxen. It was designed to help keep its contents from moving about when in motion and to aid it in crossing rivers and streams, though it sometimes leaked unless caulked.